It may sound odd, but sitting down is exhausting. After graduating in May, I can safely say the bulk of my time in high school was spent sitting. For seven classes a day, each 47 minutes long. Some students even have to endure 90 minute classes – I can hardly imagine their suffering. As kids grow up, school becomes more sedentary. Teachers tend to make more of an effort to get kids up and moving in elementary school, probably because there are more opportunities for hands-on activities and fun games. High school students are the ones who need to get up and move around the most. 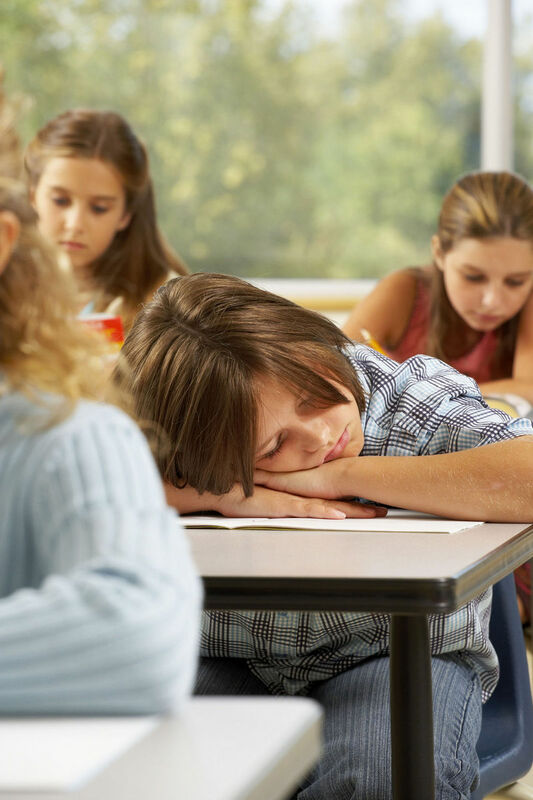 They have to deal with dense subject matter and, according to www.sleepfoundation.org, only 15% of teens report sleeping for at least 8 and 1/2 hours on school nights. Sedentary lectures combined with sleep deprivation are a recipe for boredom. Even if our bodies are built for movement, how does being sedentary affect learning? As a student who spent many classes willing her eyes to remain open, the science makes perfect sense. The most memorable moments of my high school career were spent standing – whether I was working on a lab assignment in chemistry, or acting out the function of the phospholipid bilayer in biology. After her two days shadowing students, Wiggins wrote out a few things she would immediately change about her classes. She recommended a mandatory stretch halfway through the period, and a few minutes of play time with a Nerf basketball hoop at the beginning and end of class. She even wants to include at least one hands-on activity per class. For many teachers, taking a few minutes to stand up and move around may feel like a waste of precious time. There are only so many minutes in the day to prepare students for their exams, after all. 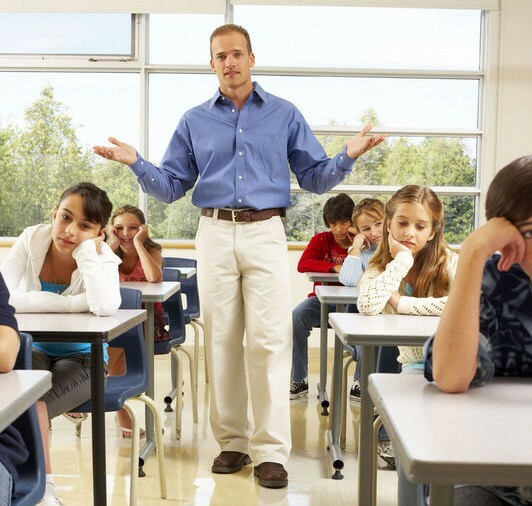 However, taking a few minutes to ensure students are alert and more focused is far better than spending the whole period on a topic that is not absorbed or grappled with at all. And while changes may not happen overnight, any small step toward making the classroom a more active, engaging environment is a good one. 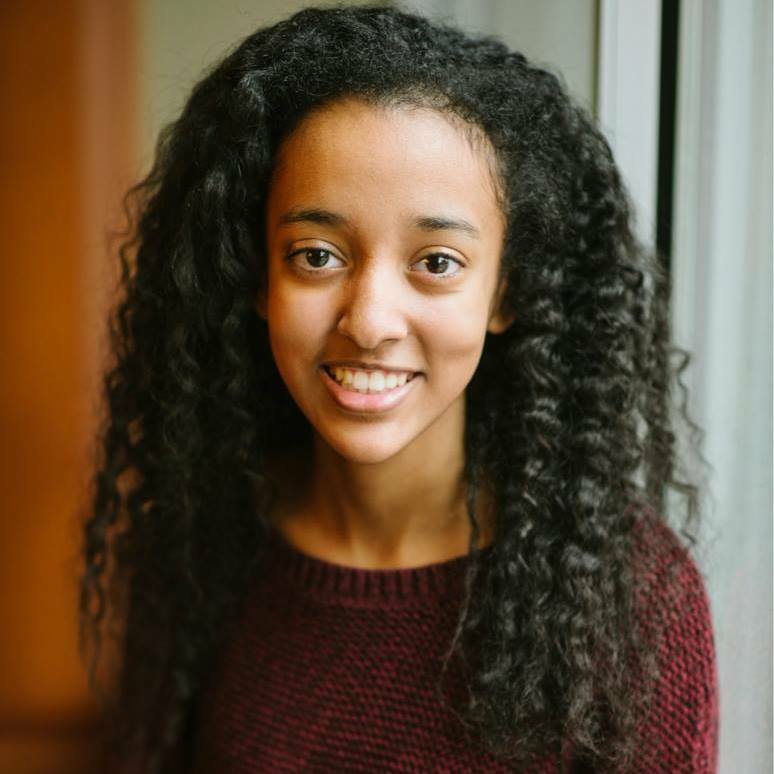 Leah Yared is a freshman at Harvard College. She worked with the American Physiological Society as a 2015 summer intern for the LifeSciTRC. What’s the Constant in Your Teaching? That’s a sin wave. It’s my precious graph, I try to sound like Golem from Lord of the Rings when I introduce it. 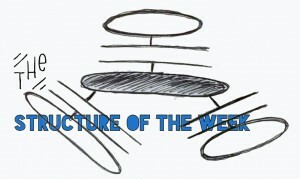 I draw it on the board after my students try to balance a meter stick with one finger (they wear goggles, of course). I have the students draw the sin wave and we talk about how the meter stick moved one direction, and they moved their hand the opposite direction and we laugh about how difficult it is to balance the meter stick and at how irritated the class below us must be after hearing all the dropped meter sticks. I don’t label the y-axis, but I call the x-axis the set-point, which represents the meter stick standing in perfect balance. As long as the meter stick doesn’t go too far to the right (above the line) or too far to the left (below the line), we can keep it on our hands, if it goes too far (past the curve), the meter stick falls. We then label the peaks of the curve and dotted lines parallel to the set point line and we call the distance, normal limits. The graph forms the basis of how we study physiology in my class. 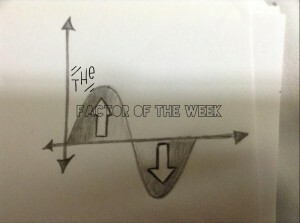 I introduce a new factor every week and students have to explain how it relates to the graph. 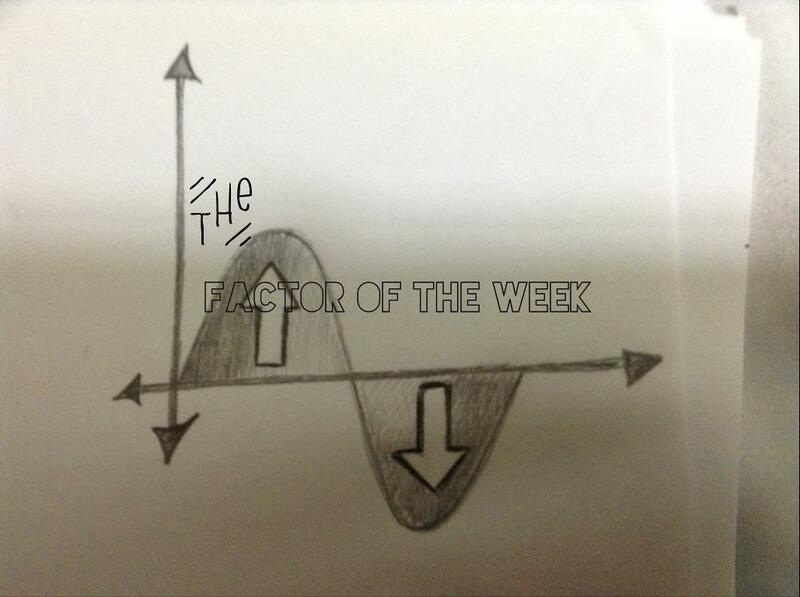 Sometimes the factor is a mineral or a vitamin, sometimes it’s a variable like heart rate or breathing depth. We relate everything that has some sort of homeostatic control to this graph. Blood sugar, pH, salt levels in extracellular fluid, hormones, nutrients – they all have to relate to the graph. Every organ has a function related to the graph, and students write about this graph in relationship to daily experiences such as getting too much or too little sleep or having too much or too little space between themselves and whomever they are talking to. Eventually students come to see how this graph relates to negative feedback and maintaining the endless cycles that the human body experiences in a lifetime. Sometimes the graph is not symmetrical and sometimes it’s two waves separated in time to examine cause and effect. Sometimes the graph seems like a natural fit, sometimes it’s forced, but the point is its consistency and the framework it provides for asking questions. It teaches my students to expect that whatever happens to raise a variable, will be counteracted in some way to bring it back down. This graph is a sin wave, I did not invent it (by ifland). This graph was never my idea, applying physiology to this graph was not my idea (I truly cannot remember who taught me this), but using it, and using it regularly, has impacted my teaching as much as designing curriculum, examining scope and sequence, using reading strategies, and even using technology. What’s more, I am completely open to my sin wave not being the best idea or the best tool in the shed – it’s just what works now, it could very well change. I’m curious, what’s your graph? What’s the constant in your teaching, that little tool, or protocol that helps you communicate the material and helps your students understand it? It may be as simple as what a popular sixth grade teacher does on her whiteboard every morning “if it’s in blue, it’s what you must now do…,” but share it with your colleagues, share it on this blog, because collectively these little algorithms and ideas become what we call best practice, and our students deserve that. This past school year, I committed to trying a brand new strategy for my Anatomy & Physiology and AP Biology classes – the Interactive Notebook (INB)! This is something that I have wanted to try for some time, but I could not wrap my brain around how to put it all together in my classroom. The summer of 2013, I had the opportunity to attend an Advancement Via Individual Determination (AVID) Summer Institute in Dallas, TX where I was extensively trained in how to implement the INB for science teachers. Let me begin by saying the INB is not an original AVID strategy, but it is a wonderful strategy to use to help students stay organized, but I am getting ahead of myself! Other than being a life-saver in my classroom, an INB is a method to help students (1) stay organized, and (2) process the information you are giving them in the classroom. There are two components that are non-negotiable, in my opinion, when developing an INB. 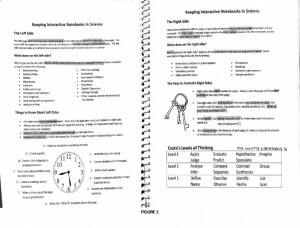 First off, students need a table of contents to help them stay organized. 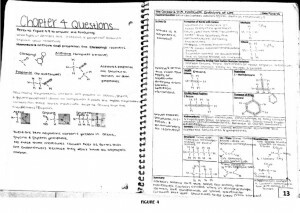 Some teachers choose to have one long table of contents for the entire notebook that is positioned at the beginning and filled in as you progress throughout the year. I chose to put a new table of contents with each unit (see Figure 1, left). I wanted my students to be able to organize information according to the unit. I also used the table of contents as their grading criteria. I assessed them on writing their warm up questions and answers, having all of their assignments present, and completing student developed questions and summaries for the Cornell Notes they took for the unit. There are many ways to assess an INB, but that needs to be saved for another blog! The second non-negotiable of an INB is determining what goes on the right and left side of the notebook. The right side is reserved for what students should know, and the left side is reserved for how students process the information that you want them to know. I discuss this at the very beginning of the year with my students and provide them with the two pages shown in Figure 2 (left). I will often use the “clock examples” (shown on the left side of the figure) as a way for letting students choose how they will process the information. For example, after giving notes that the students have written on the right side, I will ask the students to choose from clock example number 1 (by jesse), 3, 5, or 7 to complete on the left side to process the information they just wrote on the right side. This allows for differentiation of instruction because students choose how they are processing information based on how they learn. 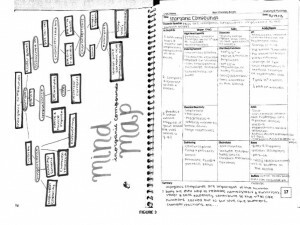 Sometimes the information that is put on the left side is very deliberate and all students do the same thing, such as completing a mind map as shown in Figure 3 (below). 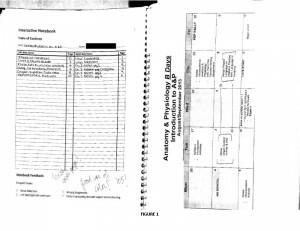 Other times, information that is placed on the left side is a homework assignment, as shown in Figure 4 (below). Figure 5 and 6 (below) demonstrate how to incorporate laboratory investigations into an INB. 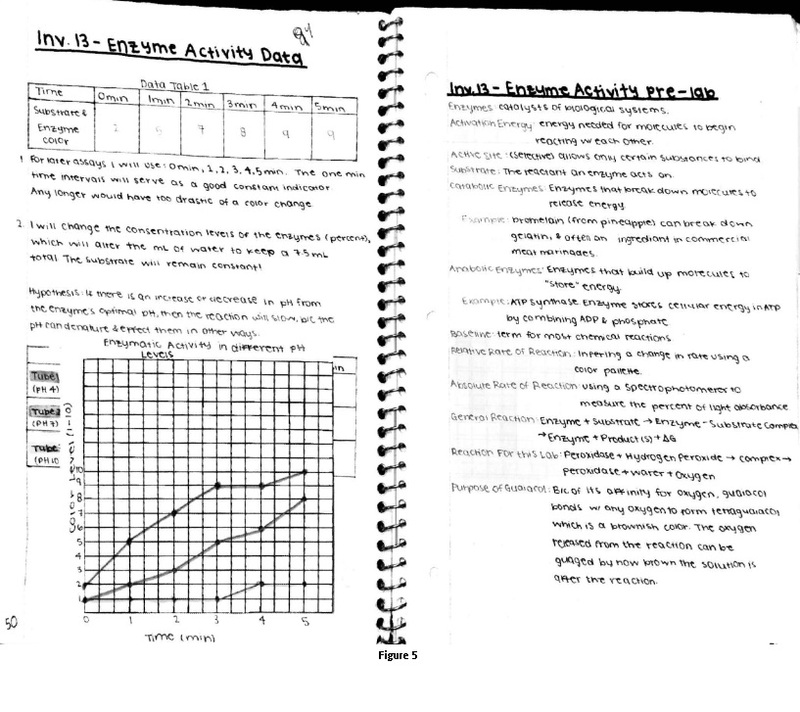 Figure 5 shows that the students completed their pre-laboratory questions on the right side, and their data tables, graphs and questions on the left side. Notice that the students taped their graph over the top of their data table. 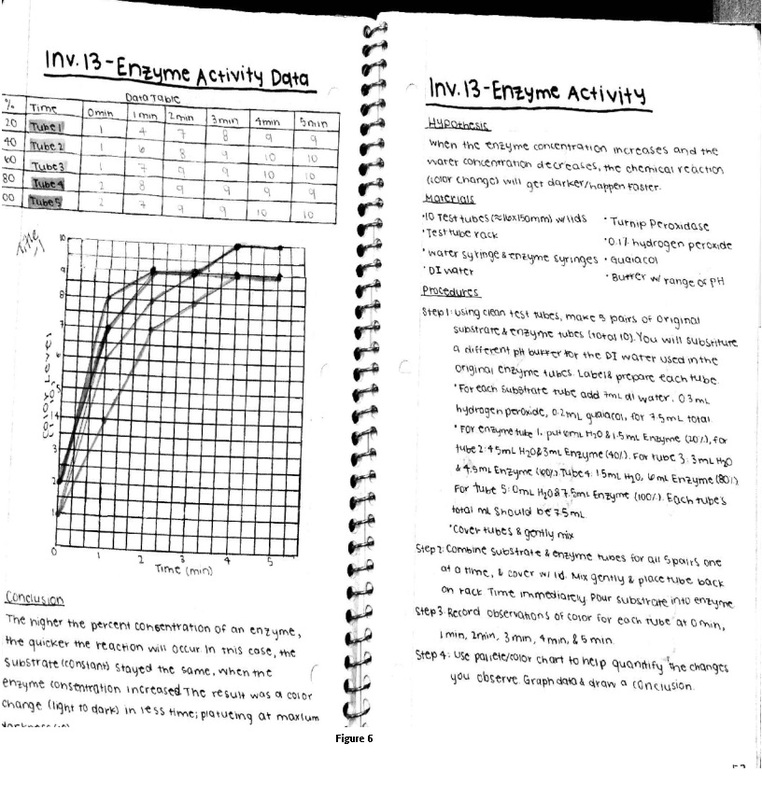 In Figure 6, students were to design their own experiment based on the results they obtained in Figure 5. They wrote their hypothesis, materials, and procedures on the right side, and the left side was for data collection, graphs, and conclusion. Not only is the INB a great organization tool for students, it is also a valuable organization tool for educators, as supported by Eagleton and Muller. “This organizational tool works most effectively where the teacher plans lessons as part of a unit in which student-centered activities are structured to build learning over time. These activities focus on the student’s processing information in order to build strong mental connections.” The key is to focus on how the students are processing the information. Are you going to let students choose from various clock examples based on the students’ learning style? Are you going to push them to try something new and outside of their comfort zone? Eagleton and Muller developed a model for whole brain learning of physiology. Their research “alerted to the importance of incorporating learning strategies that make provision for the personality, information processing, and environment and instructional needs of different students.” I feel it is important that students know their learning style and how their personality fits into their learning. It is up to the teacher to provide an environment and instructional needs to reach all learning styles of his/her students. In my opinion, the INB is the perfect tool to reach all students, if the teacher uses it correctly. How to start an INB? As you may know, when incorporating a major new system into your classroom, it’s sometimes like taking off a band-aid – you just have to rip it off and go for it! 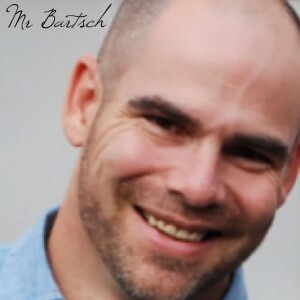 Once I decided I would transform my classroom using an INB, I began by looking up examples online and talking with other educators that had been using this method. Using an INB forced me to think about my instruction in a new and different way. First off, I had to determine how to give my students information that could fit on one page. This really allowed me to pare down content and get rid of some of the “fluff.” Sometimes I would give my students multiple pages of notes that they glued on top of each other on the right side. I also had to determine how I was going to have my students process the information. Was I going to use a clock example, or would they complete an assignment or activity that is the same for all students? I added extra items such as unit calendars that they put opposite of the table of contents, and unit exam reviews which they placed on the right hand side and then completed a study guide on the left hand side. After having used the INB for a year, there are a few changes I am going to make for the next school year, but that is what we do as teachers – reflect and revise! I am still going to assess my students’ INB on completion of their warm up questions/answers, completing their student developed questions and summaries for their notes, but now I am going to incorporate giving students’ stamps for completing certain assignments, rather than collecting each assignment. In addition, I am adding a parent feedback page at the end of the notebook. 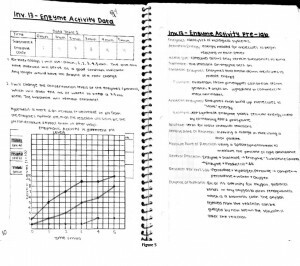 Students will be required to show their parents their notebook, discuss what they learned during the unit, and then the parents will be required to write a feedback sentence and sign the paper. I will also have a reference section at the beginning of the notebook, which I did not do last year. If you decide to take the plunge and use an INB in your classroom, it is important that you understand to make it your own! I can give some suggestions that worked for me, but it might not work for you. You must design it in such a way that helps support your instruction. 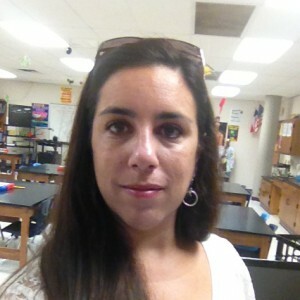 Jennifer Giannou-Moore is an educator, department chair, and instructional coach for the science department at Austin High School, Austin Independent School District, TX. Jennifer lhas taught a variety of science courses over the past 13 years including Anatomy & Physiology, AP Biology, and Integrated Physics and Chemistry. Ahh, the quintessential query of all students. Perhaps hearing this phrase gives you a pit in your gut; after all, having to defend your investigation of a topic with your students implies that they’re missing a core concept at the start, the why behind the what. So how can you make sure you never hear this question again? For those unfamiliar with case studies, one of the most common types, and that which I’ll be discussing in this post, is the “interrupted” case study. In this format, students are presented with a mystery or problem that must be solved. Students are then given information in a piecemeal fashion, including data, graphs, and charts, and must continually assess and reassess the available information to make a decision on a course of action. This format of problem-solving is a phenomenal way to incorporate real-world science skills in the day-to-day workings of your classroom. These cases are often complex, requiring students to develop analytical and decision-making skills for questions that are messy, complicated, and fun – just like most good science questions are! Teaching with case studies allows you to reinforce the science content you’re learning in your classroom, but more importantly, allows your students to experience how the process of science works. Many true cases also impact public policy, presenting an opportunity to discuss the need for scientific literacy among the general public. Be prepared! Make sure that you’re familiar with the case and have considered areas students might get lost or confused. A solid foundation with the case yourself will make for a much more productive experience. Have them turn in a product! Cases often inspire excellent discussions; however, most students feel more secure in their learning if they are required to turn in some sort of product by the end. This can be as simple as a summary of the case, or can be specific questions and/or reflections on actions that should be taken in the case. When possible, include various media! Particularly when using true case studies, it is often possible to find video clips from news organizations or television shows that highlight the case. Including these in your lesson adds another layer of reality and depth for your students, making them realize that these are real people and real cases, not just some activity their teacher is making them do. All cases listed below have coordinating media available on Youtube and Vimeo. If you can, jump in full force! The more cases you do, the more comfortable you and your students will be with the process. This will, in turn, allow you to have more productive discussions and get the most out of each case. Osmosis – “Water Can Kill: Exploring Effects of Osmosis” : This case follows the true stories of three individuals who all die as a result of ingesting too much water in a short period of time. 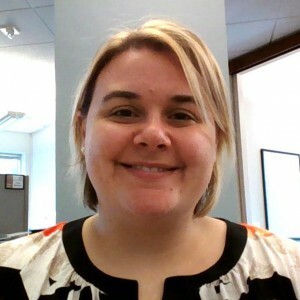 In my class, we focus primarily on the case of Jennifer Strange, who died after participating in a water-drinking contest to win a video game console from a radio station. Being that so many students are athletes, this often inspires many conversations about safety in practices and training. Cellular Respiration – “The Mystery of the Seven Deaths”: This true case study explores the Chicago Tylenol murders that occurred in 1982 when cyanide was added to Tylenol capsules. When I introduce this story, I don’t tell them up-front that it’s true; the shock they experience when they find out that seven people actually died under such bizarre circumstances is enough to keep them guessing for the rest of the case study. Any topic of your choosing – National Center for Case Study Teaching in Science (NCCSTS) and CASES Online from Emory University : There are literally hundreds of more cases in every life science subject area found at these two websites. All of the previous cases listed above came from the NCCSTS, but I have also used quite a few from CASES Online as well. Both are truly excellent resources. So, why do I use case studies? I could say it’s because it increases their problem-solving ability, their creativity in exploring approaches, their skepticism in considering solutions, and their experience with the “dirty work” of science – all of which are incredibly true! But… you want to know the real reason I teach case studies? It changes their question from “Why are we learning this?” to “When are we learning this?” When that is the question your students ask, you can be confident that they understand the why behind the what – and finally, the real work is ready to begin. What are some of your favorite cases that you use in your classroom? If you haven’t used any yet, what questions or concerns do you have? Leave your comments/questions/ideas below! The following articles were used in my research for this blog post. 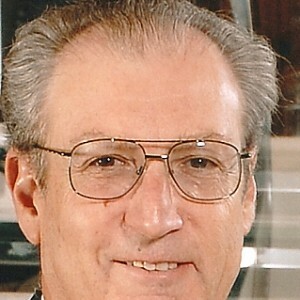 They are all authored by Clyde F. Herreid, Director for the NCCSTS. Can Case Studies Be Used to Teach Critical Thinking? 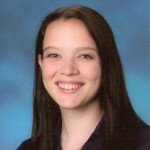 Caitlin Schecker has a Bachelor’s Degree in Secondary Science Education, specializing in Biology education. She has absolutely loved teaching at Bishop McLaughlin Catholic High School in Spring Hill, Florida for the past five years. 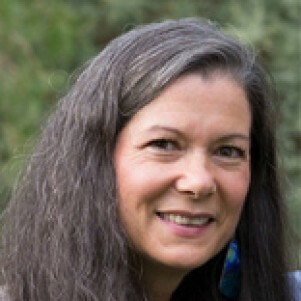 She has served as a LifeSciTRC Scholar and Fellow. Are you Virtual or Not? That is the Question! Photo by Tom Woodward via Flickr. 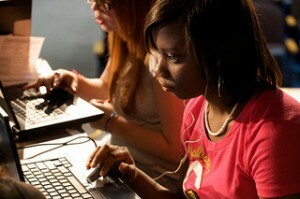 With the popularity of digital devices, there has also been a great interest in online coursework. Discussions and research are just now being done in relation to their effectiveness. Todays’ digital natives are naturally attracted to the opportunity to take courses digitally. The question is, “Is this the best way for students to learn?” especially in the area of science, which by its very nature lends itself to “hands-on” activities. As a longtime educator in Texas, I have seen a push for schools to consider more digital textbooks and online learning resources. As a reviewer of some of these resources, I was somewhat disappointed in that some were nothing more than PDF’s of textbooks with very little interactivity for the student. Most will agree that just putting the pages of a textbook online is not the answer to engaging students. However, what about highly interactive open-ended electronic resources? In the July 17 Journal of “NATURE”, M. Mitchell Waldrop discusses the explosive popularity of online learning in Education online: The virtual lab. Waldrop mentions that this approach might be fine for lectures and the like but what about the hands on experience? Can that be taught online? I have had the opportunity to try some virtual labs with mixed reviews. My experience as a high school science teacher allowed me to see both sides of this issue. As a Biology teacher, I did many hands-on labs including dissections. Over the years concerns about dissections have been expressed for a variety of reasons, the purpose of some of these dissections, cost, effects on the environment, and just personal preferences to not touch dead things. As a result of that I began to explore some of the virtual alternatives. As I tried some of these virtual dissections, something was always lacking. How can a student feel the texture or the depth required to cut? How can a student problem solve if another tissue is in the way? (While something like radioactivity and half life would not be appropriate to work with in a high school lab and would lend itself to a virtual environment for safety issues, I feel like there are just some things that are better suited to the real thing. If I am going to be operated on I want someone who has experienced working on human tissue, knows how deep to cut, knows what to do if there is a problem, and has not just worked on a “virtual” cadaver. 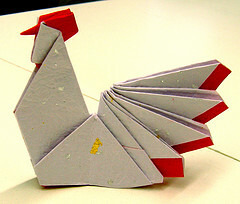 Is “hands on” the only way to learn a concept? Is there any value in “virtual labs”? If you do a search online you will find several providers of virtual labs. Here are a few I found in relation to Frog dissection. Try some of these Virtual Frog dissections and let me know what you think in the comments below. Do you have any virtual labs that you like to use? Share below.